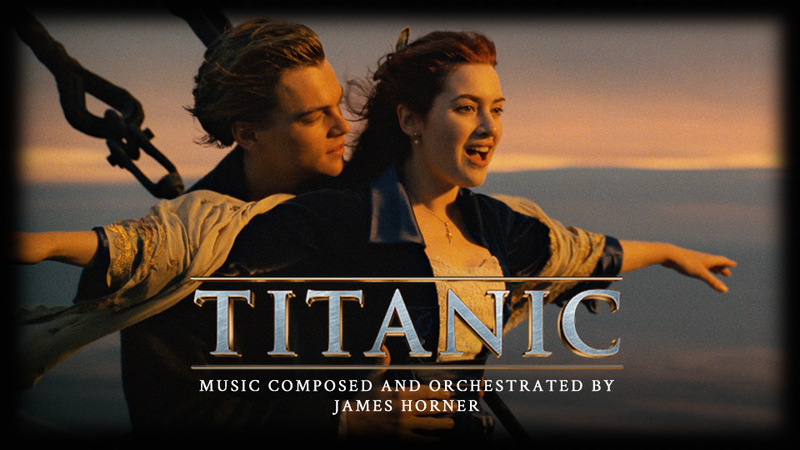 Another layer of Titanic’s resounding success became its music, with the expressive compositions of James Horner. Titanic: Music from the Motion Picture is the soundtrack to the film of the same name composed, orchestrated and conducted by James Horner, which quickly blossomed into one of the best-selling albums of all times. Sony Classical released the soundtrack on November 18, 1997. Riding the wave of the film’s immense success, the soundtrack shot to the top of the charts in nearly two-dozen territories, selling over 30 million copies, becoming one of the best-selling albums of all time, and the highest-selling primarily orchestral soundtrack ever. Horner has composed for over 100 motion pictures, frequently collaborating with directors such as James Cameron and Ron Howard. Other scores include Avatar (the only film to surpass Titanic in box office sales), Braveheart, Aliens, Apollo 13, Star Trek II and more recently, The Amazing Spiderman. Horner collaborated closely with Cameron to create something that eschewed sentimental conventions, yet still captured the shifts of the period, the starkness of the love story and the twin themes of human hubris and transcendent courage. With a mix of synthesizer, choral vocals and orchestra, Horner fused an emotional connection not only between Rose and Jack but also between their story and audiences the world over. Audiences worldwide echoed Hollywood’s appreciation of Horner’s musical score as the CD release became the best-selling orchestral soundtrack in history. Moreover, its lead single, “My Heart Will Go On” performed by Celine Dion was the biggest selling single of 1998, winning Record Of The Year at the 1999 Grammy ® Awards. Céline Dion, who was no stranger to movie songs in the 1990s, sang “My Heart Will Go On”, the film’s signature song written by James Horner and Will Jennings. “My Heart Will Go On” became a worldwide smash hit; going to the top of the music charts around the world and was soon indelibly entwined with memories from the film. “My Heart Will Go On” also ended up winning the 1997 Academy Award for Best Original Song as well as the Golden Globe Award for Best Original Song in 1998.